Find your new Audi today! Drivers from Connecticut and New York shop at Audi Danbury because we offer new and used Audi vehicles, excellent financing solutions, and an expert team of automotive technicians. We are passionate about our Audi inventory, superior customer service, and maintaining a pressure-free visit to our dealership. We know that you have high expectations, and as an Audi dealer we enjoy the challenge of meeting and exceeding those standards each and every time. We encourage you to browse our online inventory, schedule a test drive and investigate financing options. You can also request more information about a vehicle using our online form or by calling (888) 790-8455. Speaking of help, sometimes it's necessary to explore financing options. And speaking of pressure-free, we know trying to find a financing solution that works for you can often be stressful. However, our team of financing professionals is available to give expert advice and help you secure perfect Audi lease our car loan. Are you ready to experience new Audi models for sale near Newtown, New Milford, Ridgefield, Carmel, Katonah, and Bedford, NY? Visit our Connecticut Audi dealership for a great selection of new Q7, Q5, Q3, A4, A5 and many more popular models. Whether you're looking for a luxury SUV or sedan, Audi vehicles are know for spotless interiors, sumptuous design, and advanced features. Let the auto experts at Audi Danbury help you find a new car that meets your needs. When you step into a pre-owned car, you will be excited knowing that you can have both an affordable price and a reliable vehicle. And you should be excited because this like-new vehicle is not only of excellent quality, but it has been thoroughly inspected and has a well-documented history that you can easily access. You can expect more from our service department: state-of-the-art equipment, quality Audi parts, and dedicated Audi technicians. We make sure all maintenance and service are done quickly and precisely so that you can get back onto the road to enjoy your new, or new-to-you, vehicle. We're here to go the extra mile for you, so stop by to browse or new or used inventory selection and test drive your favorite model. Allow us to demonstrate our commitment to excellence. 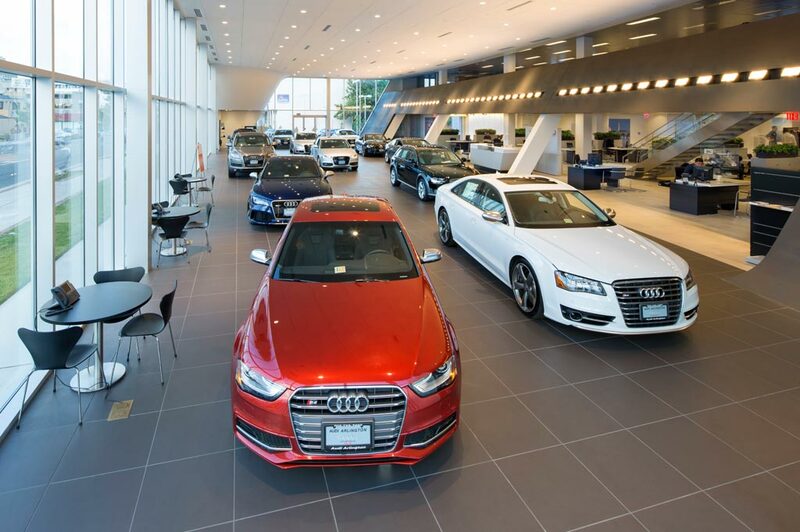 Visit our Audi dealership serving Newtown, New Milford, Ridgefield, Carmel, Katonah, and Bedford, NY today!